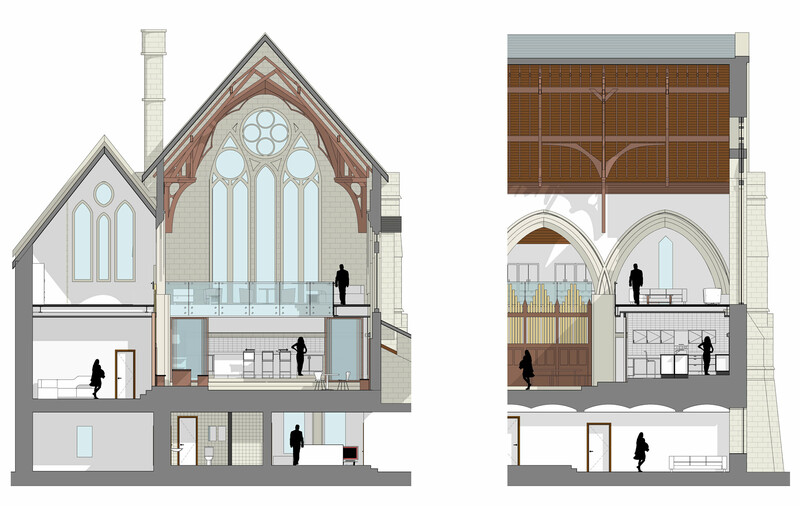 St. John’s church is a grade II listed building built in 1883. 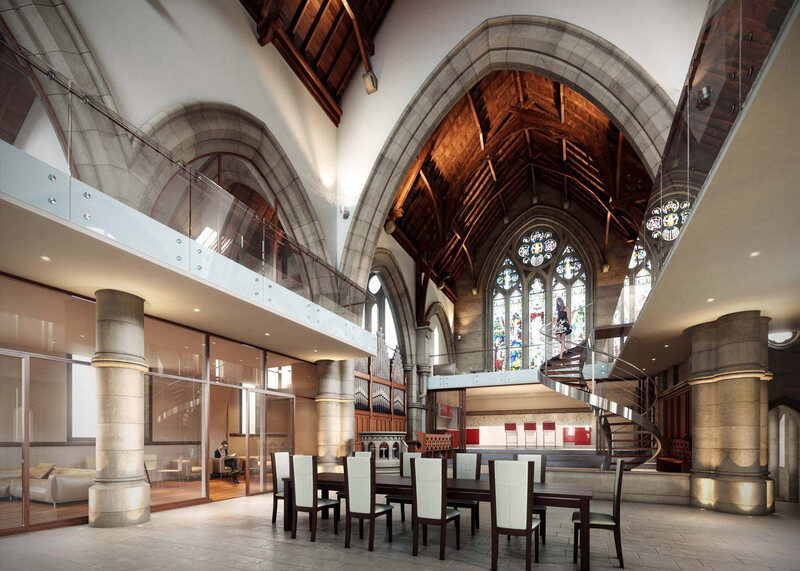 The original features include a spectacular hammer beam timber roof and a sloping floor, as well as two large stained glass windows. 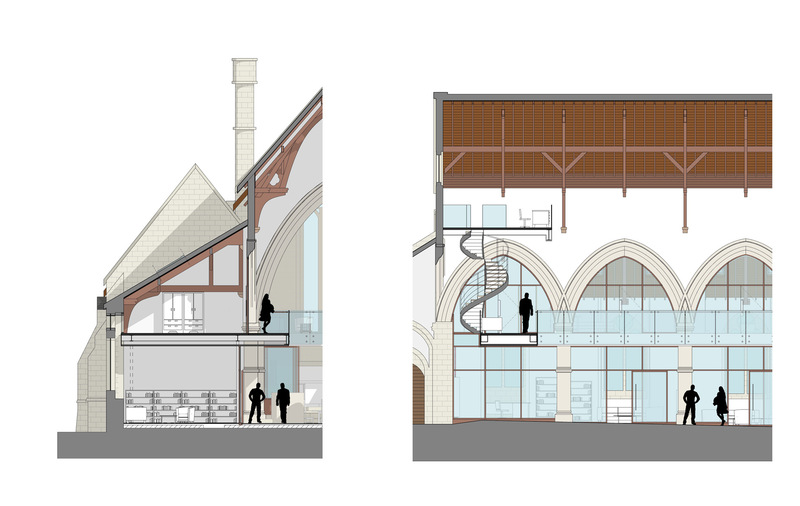 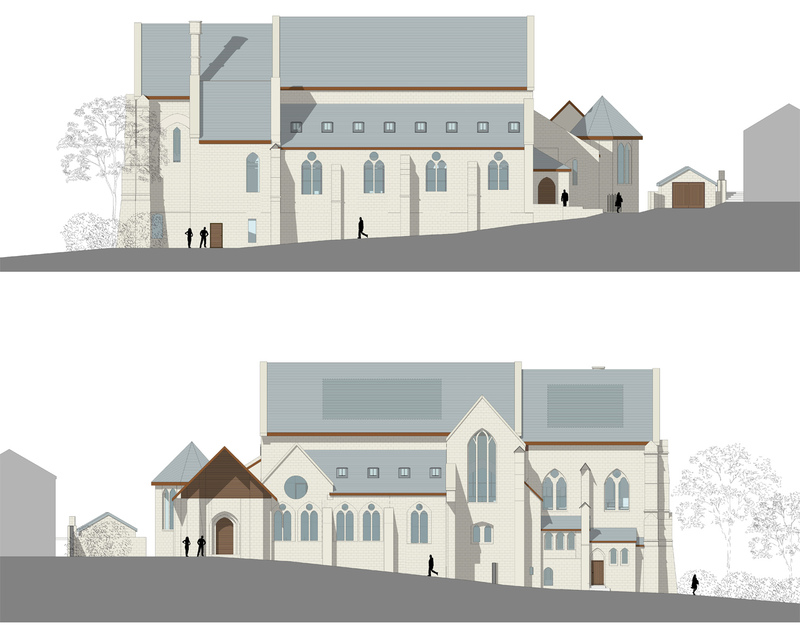 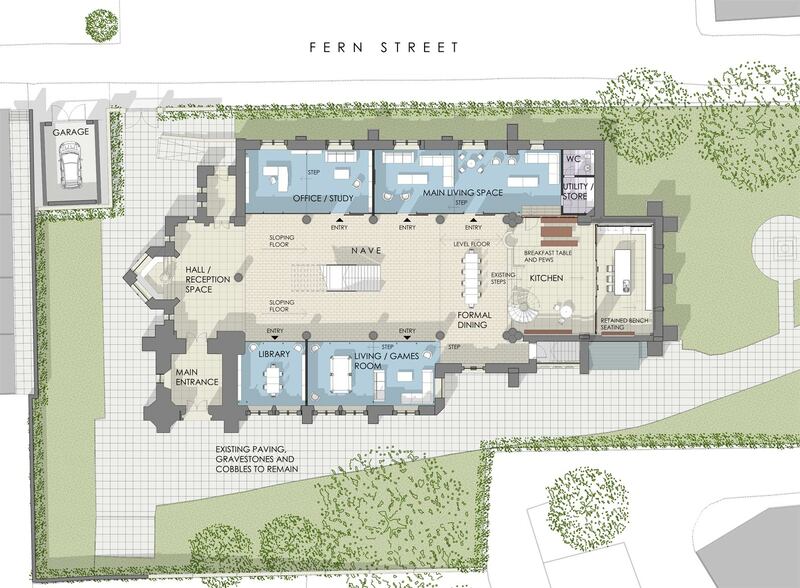 Artform Architects were approached by a private client who wished to convert the church into a single residence. 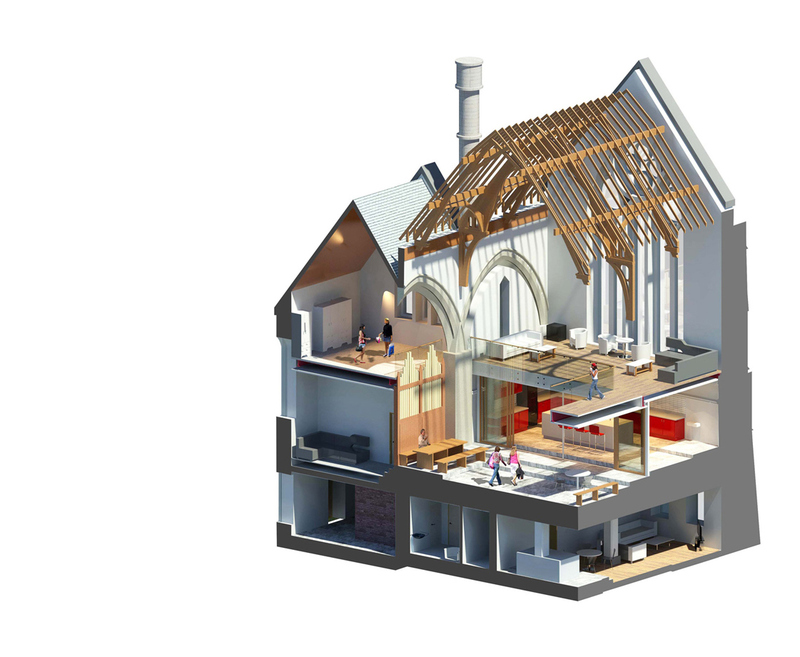 The brief was to maintain the features of the interior whilst inserting contemporary accomodation for a modern family home. 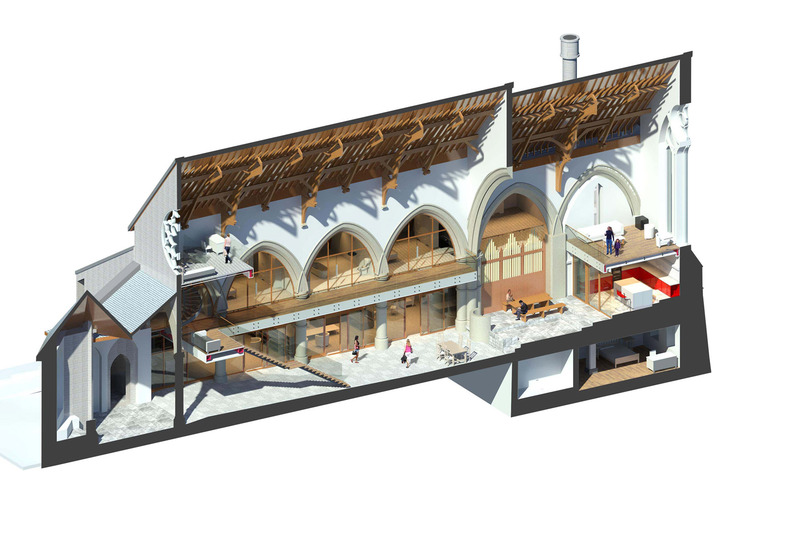 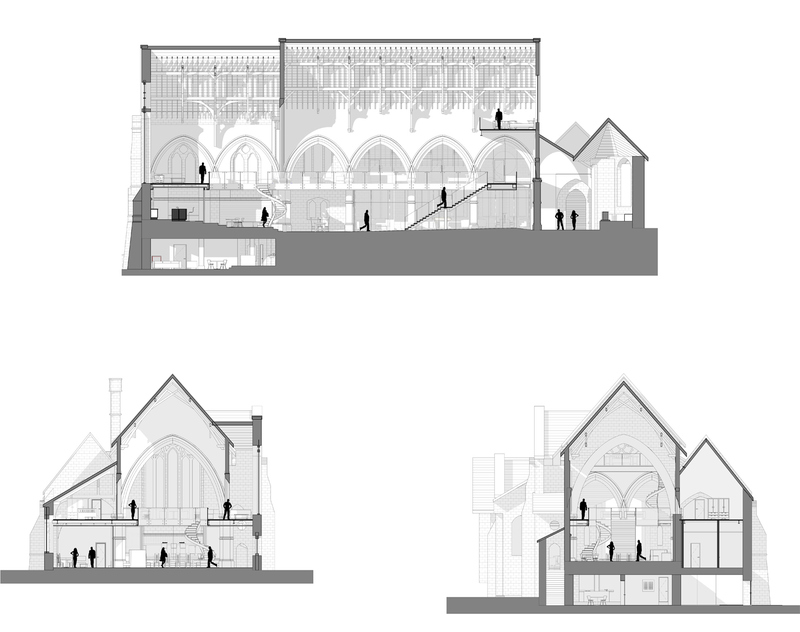 The design approach for this church conversion was to keep the height and volume of the central nave and create living spaces either side with a lightweight steel framework designed to have minimum impact on the existing fabric.